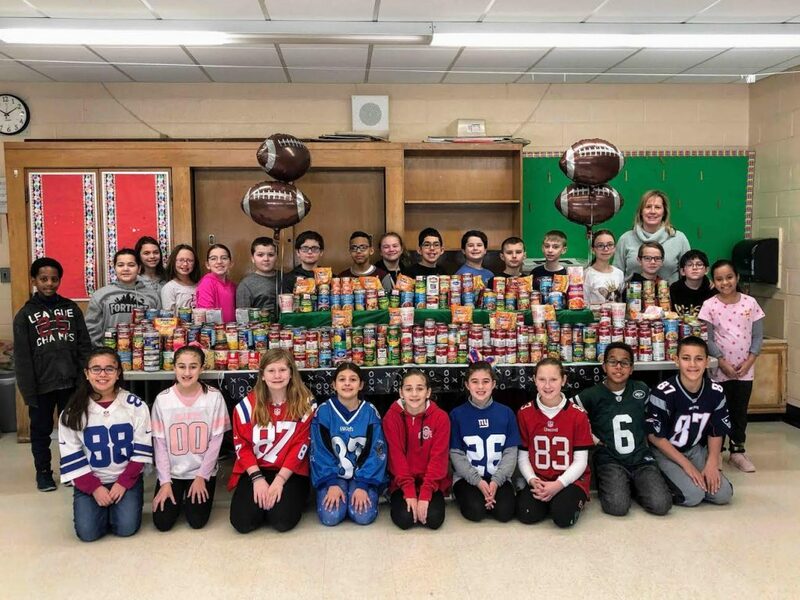 Robin Cahill’s Albany Avenue Elementary School fifth-graders in the Lindenhurst Union Free School District, together with the members of the school’s Compact committee, organized a “Souper Bowl” food drive event to benefit the Long Island Cares food Pantry in Lindenhurst. The mission was to capitalize on the Super Bowl weekend to help fight hunger and poverty in the community. During the course of five days, the students collected more than 1,400 donations of canned soups from the student body and members of staff.